Over Boothlow Farm is home to a pair of self catering holiday homes that are nestled on the side of the beautiful Manifold Valley, outside of Longnor near Buxton and within the Peak District National Park. Our holiday homes provide comfortable accommodation for those who want to enjoy the peace and tranquillity of the Derbyshire countryside, whilst still being within easy reach of amenities and places of interest. This 6 bedroom three storey Grade II listed farmhouse has been tastefully decorated and furnished throughout to ensure guests have an enjoyable place to stay. 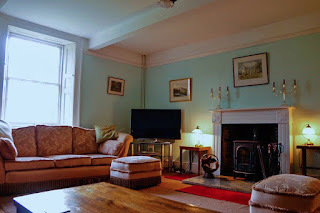 It includes a cosy south facing sitting room with wood burner, a fully equipped kitchen with adjoining large larder and a pretty garden that borders open fields and has garden furniture and barbecue. Peak Barn has been recently converted to a cottage sleeping up to 10 people within the curtilage of the listed farmhouse “Over Boothlow”. 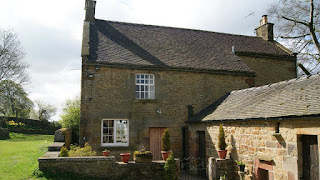 It is centrally placed in England and suitable for family and graduate reunions. The ground floor has underfloor heating and there is a south-west facing open plan kitchen, dining and living room, visiting chef available for special occasions, equipped with fridge/freezer, dishwasher, microwave, range electric cooker, no washing machine. Large screen TV with Freeview and DVD player and wonderful views over the hills. Other features of the holiday cottage include a twin bedroom with en suite facilities, double bedroom plus single bed with en suite and a bedroom Austrian twin (or king) plus 1 single bed en suite. Please bring slippers to wear in the house. To the north is the ancient market town of Longnor, just 20 minutes walk away, that has all the necessary conveniences including Post Office, Village Shop, Fish and Chip Shop and a Pub "The Cheshire Cheese". Nearby in Crowdecote is a 16th Century inn, The Packhorse, where the Landlord will drive you home after a meal. Breathtaking views of the Staffordshire moorlands lie to the West and over the ridge to the East is the famous and unique River Dove which runs parallel to the Manifold for several miles, providing the border between Derbyshire and Staffordshire. Dovedale is recognised as one of the most lovely of all Dales, immortalised by Isaac Walton in his historic book, ‘The Compleat Angler’ In the south are numerous beauty spots including the picturesque villages of Hartington, and Hulme End, the start of the Manifold Valley scenic cycle trail.